Seattle Opera Blog: Upcoming Wagner Summers Announced! UPDATE: The production of Die Meistersinger von Nürnberg originally announced in this post on 6/13/11 will unfortunately not be taking place. A press release from 6/26/2012 has more details. These back-to-back Wagner summers celebrate several important milestones: the 2013 bicentenary of Wagner’s birth, the 50th Anniversary of Seattle Opera, and the conclusion of Speight Jenkins’ 30 years as general director of Seattle Opera. 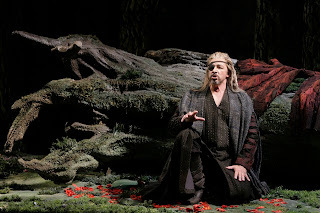 Greer Grimsley sings the role of Wotan in Seattle Opera’s Ring. Seattle Opera’s critically acclaimed production of the Ring, directed by Stephen Wadsworth and featuring sets by Thomas Lynch, costumes by Martin Pakledinaz, and lighting by Peter Kaczorowski, returns for its fourth incarnation, this time under the baton of Asher Fisch, Principal Guest Conductor of Seattle Opera. Fisch, who has conducted Parsifal, Lohengrin, Der Rosenkavalier, Der Fliegende Holländer, and Tristan und Isolde for Seattle Opera, “ranks among the finest Ring conductors of our time,” according to Opus Magazine. Making their Seattle Opera debuts in this production are Alwyn Mellor as Brünnhilde (click on her name to read her bio and hear a clip of her singing) and Stefan Vinke as Siegfried (click on his name to see a video trailer featuring him as Siegfried in Berlin). Mellor is a Brünnhilde of choice for Den Nye Opera, Oper Leipzig, Longborough Festival Opera, Paris Opera, and Opera North; Vinke has sung Siegfried in Cologne, Leipzig, Berlin, Salzburg, Venice, and Lisbon. 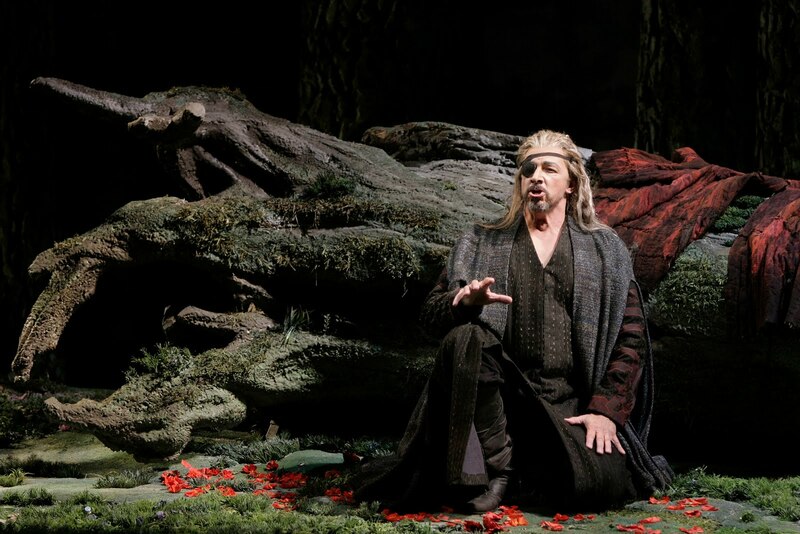 Greer Grimsley returns to Seattle Opera for the third time as Wotan, a role for which he won Seattle Opera’s 2005 Artist of the Year award. Other returning artists include Stephanie Blythe as Fricka, Margaret Jane Wray as Sieglinde, Stuart Skelton as Siegmund, Dennis Petersen as Mime, and Richard Paul Fink as Alberich. Subscription performances of Die Meistersinger von Nürnberg are scheduled for August 2, 7, 10, 13, 17, 20, and 23, 2014. A fundraising campaign to support these two productions is currently underway. Donors to the campaign will receive priority ticketing options. For sponsorship information and individual gifts, please contact Rebecca Chawgo, Seattle Opera’s Associate Director of Development, at (206) 676-5519.